The Model B is similar to the Model A, which was introduced in 1948, and both were in use through the 1950s, as should be obvious from the styling. 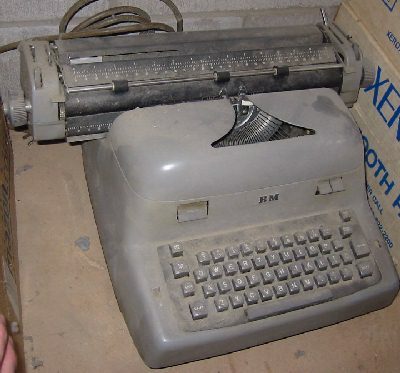 It's just a boring, high quality electric typewriter. I haven't fired it up in several years, but it worked pretty well when I got it. 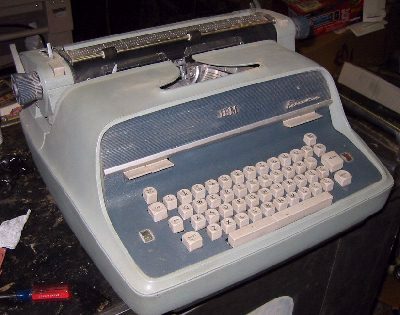 This is the 1960s version of the IBM typebar machines. The Executive has proportional spacing, note the split spacebar for spacing of two or thre "microspaces". This example is from 1964, and works sort of with some effort, as the power roller is well worn. See the insides. 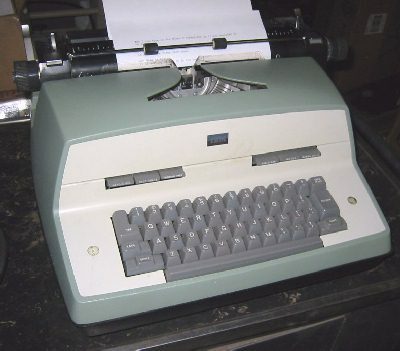 This machine is from 1970, and has typical 1970s features, such as the Selectric styled keyboard. 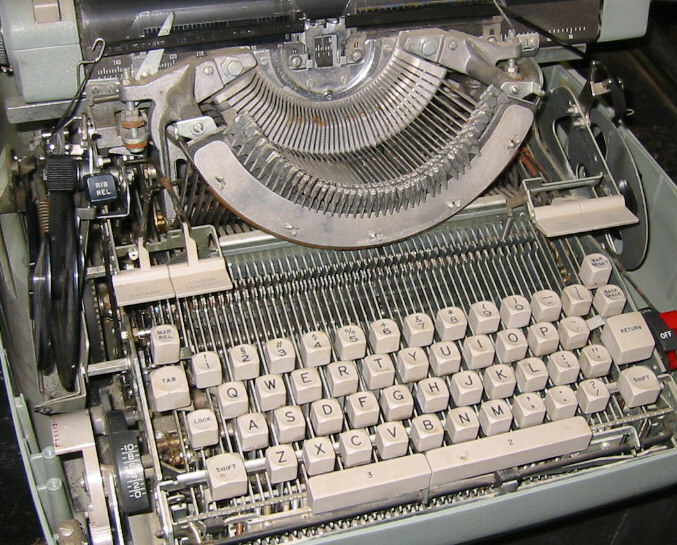 It offers half spacing (by holding down one of the buttons above the keyboard), and typematic action on the X, underline, dash, space, backspace, and return keys. This one is in good condition, working well (mostly), and the bonus is that the operating instructions were included with it.